“Calling Debra Barbarick a “massage therapist” hardly describes her ability and level of accomplishment. She combines highly developed intuition and a thorough knowledge of the human body in her approach. When I came to see her with back pain that had lasted over a week, she immediately understood the cause of the pain and treated it effectively. She showed me a diagram of the way my body was “leaning” and gave me corrective exercises to do at home. “Debra Barbarick’s approach to massage therapy makes her work an excellent adjunct to any other professional treatment program. As a retired Doctor of Acupuncture and Chiropractic I admire and respect her thorough knowledge of anatomy, musculoskeletal dynamics and meridian theory. – Dr. Jayamala Perryman, D.C., L.Ac. “I have Fibromyalgia but now I’m tempted to say I had Fibromyalgia. Since going to Debra for a specifically designed Fibromyalgia protocol my muscles are no longer in constant pain. Through massage and Debra’s healing touch my muscles remembered how to relax. “When I started seeing Debra, I had been suffering from chronic neck pain and stiffness for many years as a result of a serious injury. I have had a dramatic improvement with both the level of neck pain and my range of motion as a result of Debra’s body work and the exercises she has shown me. She is extremely knowledgeable about body and muscle structure and given me wonderful results. “I utilize massages by Debra as an extremely valuable exercise in maintaining muscle function and bringing about some remission of my symptoms from Multiple Sclerosis. Debra assists me with stretching exercises in helping prevent muscle contractures. We work together to improve motor skills helping counteract fatigue. Debra has worked with me financially so I can have therapeutic massages twice a week which I believe allows me to continue walking without as much of the fatigue, cramping and weakness that mark Multiple Sclerosis. 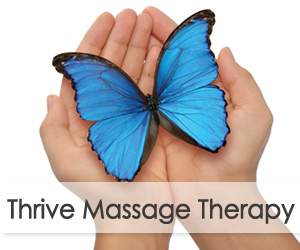 “Therapeutic massage seems to be undervalued by the medical community. But having recently experienced a C6/C7 spinal cord injury that left me disabled with incomplete quadriplegia, I’ve found that the techniques employed by Debra have greatly hastened my recovery and improved my overall quality of life. Debra has done some miraculous healing work on the alignment of my cervical spine, the muscle spasms in my lower back, and she has improved the sensation and circulation to my lower extremities. She has also helped me to gain full range of motion to my once badly injured left shoulder. I believe the best testimonials come directly from the people I’ve helped. Simply give me a call, and I’ll be happy to connect you with them. – Debra Kay Barbarick, C.M.T.